Eleven weeks ago, the fall term started and I groaned at the thought that it would be December when it ended. It seemed so far away. But as the saying goes, don’t blink. ‘Cuz here we are and it’s time to assess our learning. One of two main projects for this term asked us to examine our foundational beliefs about educational psychology and pedagogical theory. The assignment didn’t ask me to do much more than I’ve been asked to do before over the course of my 30 years in the profession. However, the exercise facilitated a few realizations about the evolution of my beliefs. First and foremost, my constructivist beliefs inflected by social cognitivism, pragmatism and metacognitivism hold up to and compliment teaching and learning with educational technology. I have found as well that they are reciprocally being informed and re-formed by the technology of the times, namely mobile, social, and networked technologies. In the course of writing my final paper, it became clear that I needed to find a way to incorporate aspects of the budding “learning theory for the 21st century”, connectivism. For even though I’m still not convinced that connectivism is a full-blown pedagogy (yet), as it is articulated now, elements of it are worth exploring as we develop curriculum and instruction and assess what constitutes powerful learning for the networked age. These are some surprises that will certainly influence my future studies as well as my practice. 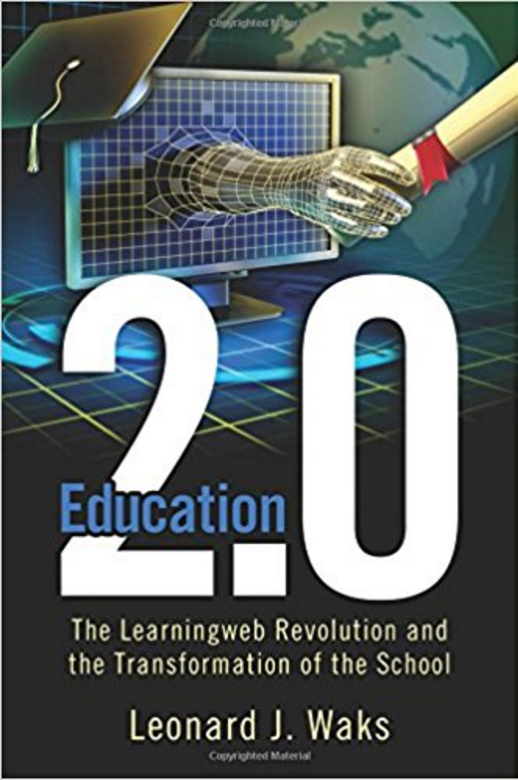 While Dr. Leonard Waks’s ideas were not practical to implement in their entirety, his text, Education 2.o: The Learningweb Revolution and the Transformation of the School does have me thinking differently about school and the role of educational technology in teaching and learning. Even though the paradigm shift he is calling for will likely take a generation or more to accomplish — if it is ever realized in its entirety — many of Dr. Waks’s ideas are useful. First and foremost, he challenges readers to confront how thoroughly outmoded the industrial model of schooling actually is. Not only that, the histories he includes provide much-needed perspectives and insights into our current times. The evolution of schools to support the factory-based, industrial economy of the 19th & 20th centuries and the roles of diplomas and degrees as employment sifters and social allocators during those centuries all stand in stark contrast to the evolution of the internet, the complexities of schools and school systems, and the open, networked information and knowledge economy in which we now live. 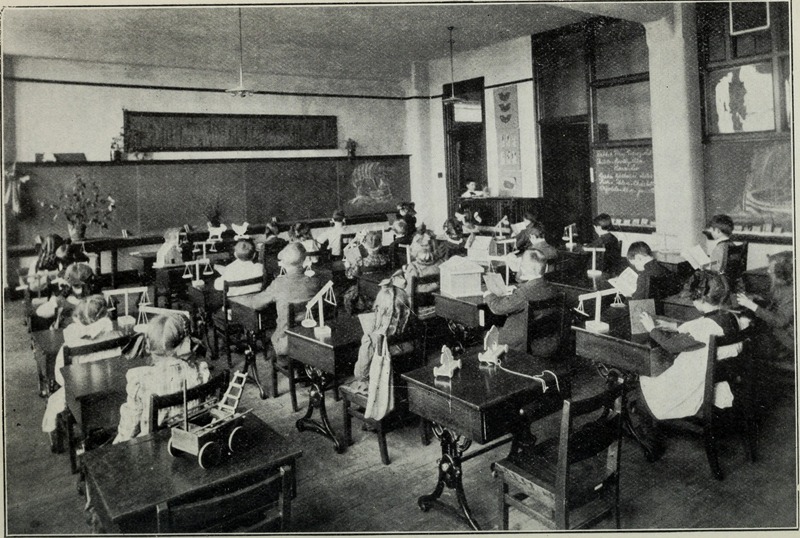 Even though the model of the open learning center as described in Education 2.0 is problematic in a number of ways, the text still begs the question: To what extent are we serving students by continuing an educational model that is yoked to a dead economic model and the social structures that developed from it? Indeed, as a result of reading Waks I clearly see just how misaligned our current school paradigm is with the needs of the modern world. It has made me very conscious of which school structures are impinging on or even making 21st century learning impossible to do. I would like to learn about a plenitude of topics in regard to educational technology and technology-based pedagogy. I look forward to accumulating more tools and processes for implementing technology-infused learning in the high school classroom. I very much would like to learn more about how to get “technology reluctant” teachers to incorporate more technology in their instruction, getting them to facilitate more student learning with technology. I would also like to acquire more techniques to support teachers who already use technology, getting them to SAMRize their student learning even more than they think they already do. I would greatly appreciate a course or workshop about developing powerful, engaging online learning using platforms such as D2L, Google Classroom, etc, both for high school students and for teacher professional learning. Finally, I would love a course or workshop in which we create digital badges to promote professional learning in the digital age. From the moment I saw the title of this course and the text that would provide its foundation, I was excited. Indeed, I have learned much. Significantly, I’ve experienced several unexpected learnings, which is what makes learning really exciting. Not only was the material of high quality, but so were my classmates. They have been a special group. Discussions on the boards were lively, supportive, and challenging which facilitated our learning both through and beyond the text. Each week I extended my understandings of what I read through application or discussion with my classmates and their shared perspectives. Certainly, this course has been more proof just how much students — no matter their age and experience — learn from each other — even beyond a text or curriculum. Two ideas in this week’s reading particularly stuck with me, not because the notions are necessarily new, but because of how they were elaborated, placed in the context of our course work, and how they then framed my reflections on my high school experiences. These ideas certainly, then, have implications for our work as professional educators as well. Those ideas are schools as places of initiation and education as a “process by which a culture transmits itself across the generations” (p. 12). However, the notion of education as transmitter becomes a different matter altogether as Waks makes the distinction between education and schooling, at which point one sees schooling as transmitting itself across generations en lieu of education — or at the very least, alongside it. the late 1970’s and early 1980’s, it was the epitome of the suburban district delivering a “conventional curriculum-based schooling” (p.11) for the mostly college-bound upper middle-class students it served. About a dozen years out from the first rumblings of the Internet (back when it was a proper noun), the faculty and curriculum of my high school absolutely set a path for a “‘particular way of becoming a person-in-society'”(p. 12) . It transmitted the college prep culture across the generations from the Postwar/GI Bill years of the Greatest Generation through the Vietnam years of the Baby Boomers to those of us in Generation X. However, the society my high school sought to initiate me into would no longer exist by the time I graduated from college. The predictable and orderly “rules of governing…that build up around all of the significant aspects of life in society” (p. 28) my high school teachers were preparing us for were not those of the social, networked, collaborative, knowledge economy in which we currently live. As an educator, I can look back now and see quite clearly the assumptions our teachers made about who we would be as adults reflected in what they taught us and how they taught it to us. They initiated us to be professionals and business people, specifically working in New York City, mostly in high rises, offices and cubicles. Aside from the occasional think/pair/share exercise, I can’t recall a single small-group-activity-to-large-group-shareout I ever experienced in four years of high school classroom learning. Yet I do remember an entire lesson dedicated to learning how to do the “subway fold” with a newspaper. (This is a particular kind of large-scale origami that with a specific set of folds, flips and turns allows one to read a broadsheet newspaper on a crowded train without the paper ever taking up more space than a trade paperback. I even remember the class being instructed to turn to the business section to start the fold and then our teacher coming to each of our desks to watch us demonstrate the fold as an individual performance assessment.) Talk about initiation. My high school was also the perfect example of mass schooling that habituated us “to the norms of industrial life rather than academic learning” (p. 40). The only exceptions to that would be my “egg-crated” French classes and “extracurricular” theater program. I can point to real learning from those experiences. Still, if I had to estimate, I’d say my high school learning consisted of 25% education and 75% schooling. It really wasn’t until college that I can begin identifying multiple courses that exposed me to much more new knowledge and understandings than I can count — even if it was done within a hierarchical model. But from my high school experiences, I can write well and I can still speak, read, and write French. I can present in front of audiences of all sizes. I can fold a newspaper like nobody’s business. But math stumps me both conceptually and practically. When it came to math I wish I had been allowed to “build up [an] active capability sufficient to perform with enjoyment in activities and share in their values” — and for me, this entailed different methods than were consistently employed throughout my K-12 experience. Given my deep fascination with language, what if I had been encouraged to explore math as another language with its own vocabulary, grammar and syntax rather than as mere formulae known by “rote learning unconnected to performance” (p. 30)? I imagine I would have had a very different experience of math then and far less anxiety about it today. Waks’s 7 characteristics of the hierarchical/industrial/factory model (p. 38) map directly to my high school. So too were we examples of Sizer’s point that the architecture and grammar of contemporary schooling have changed so little in the past 100+ years and we were so stuck in that way of schooling that college as the next step after high school wasn’t even conceived of as optional (p. 39). In my family, the question was never, “Are you going to college after high school?” In my family, the questions were, “Which four-year college will you attend?” and “Will you attend close to home and commute, or will you go away to college and live on campus?” As a teenager, I was barely even aware of my astounding economic luck to have those as my options, never mind understand the underlying assumptions. I keep returning to the question of the ways in which my high school was a success or a failure in terms of Waks’s beliefs. In terms of how it functioned as an institution that “introduce[d] order and predictability [and] consist[ed] of rules governing the practices that build up around all of the significant aspects of life in society” (p. 28) — such as life and society still were in the early 1980’s — I would say it was successful. Where it failed was in the administration’s and faculty’s ability to see what was coming just five years down the pike, adapt to it, and prepare us accordingly as best they could. Admittedly, a nearly impossible order given the architecture of schooling. So they schooled all of us such that we could attend college and then take our place in a stable, lifelong, white-collar career with a single company that would then provide the benefits we need through retirement — just as our parents and grandparents had experienced. It makes me laugh even to type that today. For Gen X, those work and societal scenarios were already obsolete by the time we graduated college. And that meant years of struggle, doubt, and misbelief about our own success when, by the age of 28, we were already on to our second or third job placement. Sadly, those outdated notions were only reinforced by the older generations who questioned our ability to hold a job and admonished us to “settle down” and “make a decision” about what to do with our lives. 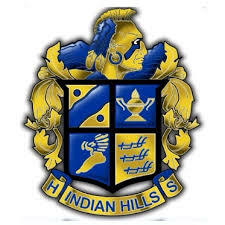 My high school and the educators who staffed it did not recognize that “social, political, religious and economic institutions work together in an interdependent institutional order” and that several of those were about to change “in fundamental ways [and that education] must adapt” (p. 28). That was so at the dawn of the information age and it is so again as a Civilization 2.0 reveals itself through a truly global, collaborative society connected through the digital, networked devices that billions of people carry in their pockets. Nearly every institution has been impacted by the internet and information and communication technology — particularly our social, political and economic institutions. Yet our educational institutions have been slow “to give”. Reflecting on this week’s readings through these framing questions has left me a bit dispirited. Heidi Hayes Jacobs is fond of asking teachers, “What year are you preparing your students for?” From my high school experiences as a student and the evidence I see as a teacher and consultant now 30 years on, the answer — at least in urban schools — more often than not is indeed the 1990’s. Society has changed several times over in the years since I was in high school, and yet too many of our schools chug along in the same, centuries-old, outmoded paradigm. Still, Waks helps us remain optimistic. “Mass secondary education is an accident that turned into an institution. As we re-imagine education in the Internet age, remember that today’s system is an unshapely human invention that today’s humans can replace by another invention better suited for our times” (p.21). That’s encouraging, even if it is a long road ahead. Waks, L. J. (2016). Education 2.0: The learningweb revolution and the transformation of the school. New York, NY: Routledge. While there is no requirement that we need to keep a blog for this course, I have gotten used to doing so in order to keep a record of my own learning. Consequently, entries here may be sporadic. and the Transformation of the School. Even the graphic on the cover draws one in in unexpected ways. Featuring a flat screen computer monitor with a mortar board perched on a top corner with a digital wire frame model of a hand extending from it. At a quick glance it’s easy to interpret that model hand as grasping a human hand and drawing it in towards the monitor/the digital world. But in fact, it’s extending a diploma, which even in its outward motion, still simultaneously draws one into the digital realm of the monitor as the method of attaining the credential. It’s quite a subtle, yet powerful visual representation of the title, and likely the themes contained therein. As someone who has “a thing” for theory in so far as it has practical applications, the fact that the very first person Dr. Waks acknowledges is John Dewey (along with several other philosophers and theoreticians) is a good sign in my book. I learn best by starting with a global view and then scoping down to see how the big picture applies to the real world. To start with these big picture thinkers is encouraging. That said, it could also signal that the text will be mostly theory with little suggested action. Looking at the table of contents, only the last chapter, “What Needs to Be Done?”, contains a verb in the chapter title. This gives me some pause given the book title includes the word “transformation”. So, I will predict that it is the readers who will have to do the lion’s share of developing the actions needed to bring about the changes implied or suggested in the text. I find it interesting too that I’m reading the acknowledgements of a text with a Web 2.0 eye — as a kind of descriptive narrative of the author’s collaborative network. Connected learning and the 4 C’s in analog form. Insofar as Waks lays out his proposition “that the Internet and its new social tools have much to contribute to such new social models of learn and living,” I am sympathetic. He rightly and succinctly sums up the extent to which schools have ineffectively employed computers for education and only as add-ons for furthering the industrial model of schooling. Already by the bottom of page xi I’m considering all the ways I’ve been complicit while believing I was doing something cutting edge (at least as far as my technology use when I was teaching — which last was in 2006). As a coach and consultant, however, I’ve been using Web 2.0 technologies for professional learning much more. But after three classes in the LTE program I realize that even that work has not pushed the envelope sufficiently. 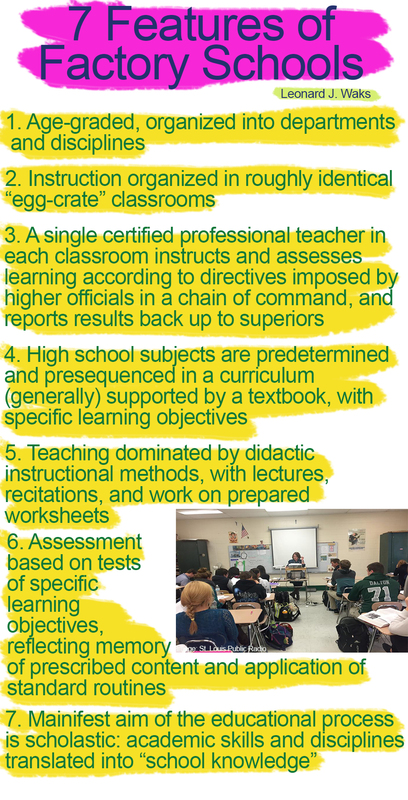 I’m finding a high degree of relevance when Waks writes, “Researchers will conduct assessment studies pitting high-tech and no-tech instructional methods against one another in a horserace — with inconclusive results. These responses inevitably miss what is most important about the new technologies — that they are already [emphasis added] facets of new ways of life with their own distinctive processes and ends” (p. xii). One of the challenges I regularly face as a coach and consultant is getting both administrators and teachers to actually integrate ICT methods into their priorities and practices. For the more resistant, they live in that “horserace”. The difference is that to them the results are conclusive and no-tech or low-tech wins the race. For many of the teachers I work with they either have no interest in digital learning or they believe they don’t have the time to become expert enough in it in order to teach with it. Yet the refrain I keep singing is that the technology is already here and impacting all our lives. Not just the lives of teens. So why are we not using it to teach students who are completely connected the other 16 hours a day they are not in school? Why are we not teaching them how to be responsible, thoughtful, creative users of that technology as well? Consequently, I felt validated reading the above passage and am quite sympathetic to Waks’s message and mission. 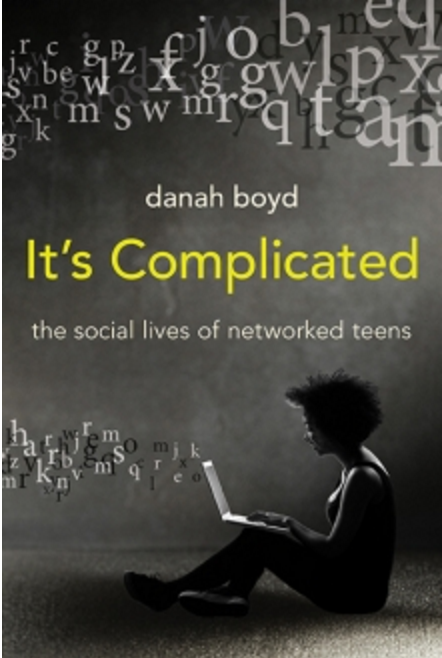 My “leisure” reading this summer was dominated by danah boyd‘s It’s Complicated: The social lives of networked teens. So I found chapter one, “Young People”, to be quite resonant. “[T]eens are true adults whose development is artificially inhibited by constraining institutions, especially schools. Freed from these constraints, teens are highly capable — in some ways more so than adults” (p. 6). As a high school teacher who has taught mainly 9th graders throughout my career, I’m always amazed at exactly what teenagers can do when we adults set up just enough of a scaffold and then get the hell out of their way and watch. I’m never completely prepared for their boundless creativity, flashes of profound insight and wisdom, and righteous yearning for justice. With 5 decades+ on this earth, I know what horrors humans are capable of. Yet I still shake my head in disbelief when I see or hear something terrible a person or group of people have done. I’ve wondered if that is because I’ve never quite grown out of my own teen mindsets. I wonder if that’s why I believe “teens are awesome, because (some of us at least) still have little bits of innocence from our childhood combined with maturity as we turn into adults” (p. 6). Finally, Waks articulates something that I have long believed and could not fully formulate, which is Rawls’s “Aristotelian principle”. It hurts my soul as a human being and makes me scream “Malpractice!” as an educator when I walk into a classroom and see students copying information from a textbook into a packet; then to see the teacher walk the room at the end of the period checking for completion of said packet and calling it learning. This is so far below what humans need to thrive because “other things equal, human beings enjoy the exercise of their realized capacities (their innate or trained abilities), and this enjoyment increases the more the capacity is realized, or the greater its complexity” (p. 9). With all of these experiences in my own practices, I am quite sympathetic to Waks’s intention and purposes. From my learnings so far in the LTE program, I absolutely believe in his purposes, his mission. I believe getting educators to incorporate the technologies that are relevant to the lives and experiences of 21st century children is a key to rejuvenating student interest and excitement about learning. And it would certainly seem as if this is Waks’s project. If pushed to articulate where I’m skeptical, I would say it’s around the combination of what may be a significant amount of theory, combined with his stating that this is not about “fixing, reforming, or improving today’s schools, but at laying out a new blueprint for an educational transformation — a shift to a new paradigm for new kinds of educational organizations.” I’m not skeptical about the need for such work. I’m skeptical because it seems to call for a razing of very old, entrenched institutions and very deep-seated societal beliefs about those institutions. And while I may be someone who can get on board with blowing it all up and starting from scratch, societies do not respond quickly to the kinds of paradigm shifts Waks is calling for. What I sense from Dr. Waks so far — and I share — is a sense of urgency to bring about this paradigm shift. What I fear is that it might take generations to happen to the extent we need it to. That said, I think it is no accident that chapter one as a whole is about young people (not “children”, by the way). As such, it implicitly makes young people the foundation, the center, the reasons for the next 14 chapters to follow. That not only excites me. It makes me hopeful that if society can see and believe that this project is about young people and their future, as well as our collective future, then we might be able to make this paradigm shift sooner rather than later. Five years ago, I read an article in The New York Times, “Wasting Time is New Divide in Digital Era”. It had such an impact on me professionally that I refer to it even today. The more I reflect on it, the more I believe it was one of the catalysts that ultimately put me on the path to this master’s program. It raised an important issue five years ago. But reading it today it seems a bit of a broad brush. The research paints a more detailed, nuanced picture of teens’ online activities. Still, the article surfaces yet one more inequity faced by students from low-income communities and those of us who serve them. It draws attention to two concerns I have as an educator: How our most vulnerable students make use of information and communication technology (ICT) and the discrepancy between how many educators use ICT in their professional practice compared to their personal lives and how the latter impacts the former. It is these interests that influenced my reading choices this week. The elements that stand out to me are the extent to which the dynamics described in the Times article still hold true today, five years on. The other is the extent to which the differences persist between how teachers use ICT in their personal lives and in their classrooms. One of the benefits of consulting is that I’ve experienced more ways of “doing school” than I ever could have imagined I would in my career. And much of what these reports describe hew to what I have experienced first hand. That is, not surprisingly, “[t]eachers of the lowest income students experience the impact of digital tools in the learning environment differently than teachers whose students are from more affluent households” (“How Teachers Are Using Technology…”). Specifically, this means “low income students…[are] ‘behind the curve’ when it comes to effectively using digital tools in the learning process…, teachers of students living in low income households say their school’s use of internet filters has a major impact on their teaching…and…, teachers of lower income students say their school’s rules about classroom cell phone use by students have a major impact on their teaching” (“How Teachers Are Using Technology…”). Meanwhile, teachers of students who come from higher socio-economic households do not face the same obstacles to teaching and learning. In fact, respondents to the the “How Teachers Are Using Technology…” survey report they are likely to face the same conditions stated above only half as often as their counterparts in low-income districts. What I find so frustrating here is what the conditions described in the survey indicate about adult mindsets and the policies that result from those mindsets. Both mindsets and policies are grounded in negative assumptions about low-income students and positive assumptions about affluent students. Namely, that poor (read also black and brown) students don’t know how to use their devices and online services responsibly; therefore they’re not allowed in class and access to the internet must be heavily firewalled. For children of affluent schools, the converse is assumed. They can be trusted to use their devices properly and not surf verboten sites, thus they are granted access. The result is a self-perpetuating cycle that reinforces these inequities when it comes to digital learning. When it comes to informal learning, teens use their devices and apps as problem-solving tools. In fact, problem-solving is a kind of use we would expect from a sophisticated, tech-literate, 21st century user. For instance, students with long commutes to school will use transit apps to shorten their travel times. Others will use YouTube as a sort of tutorial service for just-in-time learning according to their interests — personal grooming, learning new dance moves, and gaming hacks, to name a few. And among Social Media users, platforms such as Instagram and SnapChat become spaces to try out new personas — a normal stage of development for tweens and teens (“Connection and Control…”). This contradicts rather poignantly the characterization in the Times article of online behaviors as “time wasting” among low-income teens. However, the second dynamic I was struck by is a significant difference between low-income teens and their middle- to upper-middle-class peers. Low income students rarely use their devices to create digital content. “On any given day, American teens spend 3% of their time on computers, tablets, and smartphones creating content” which the “Connection and Control…” report defines as “writing or creating digital art or music”. However, low-income teens spend the majority of their time consuming media and online services compared to their wealthier peers. And whereas middle- and upper-middle-class teens have resources to create digital content at home, when their low-income peers do have the opportunity, it is usually available at school or an after-school program where the devices and applications are accessible to them. The study notes one exception, which I interpret as a function (and limitation) of the devices low-income students have the most access too. Low-income teens do “show evidence of creative practices in the digital world, taking photos and altering them with different filters and stickers before putting them on Instagram or pulling images from the internet, often manipulating them, to create their lock and home screens” (“Connection and Control…”). Here I feel I need to acknowledge a personal bias: I generally find “mashup art” just shy of plagiarism. Admittedly, my views on mashups are evolving as I come across more complex examples and recognize it as a kind of expression digital technology makes particularly easy to create and the internet makes very easy to distribute. Still, I find it a low bar creatively. Nevertheless, it’s clear that the ability to create content is strongly influenced by access to the tools of creation. Household income and school budgets are key determiners of such access. Given the length of this post so far covering only one of my two stated areas of interest, I’ve decided to spare readers some time. I’ve created a short video compressing a few of my take-aways on teachers’ personal and professional use of ICT. Enjoy!